Mark Hamill is already trolling fans over the Star Wars 9 title reveal. Hamill is a guy who loves to have fun with his fans. He's been a terrific ambassador for the franchise over the years, but understandably gets a little frustrated since he can't ever say anything about the movies while working on them. But Hamill has become an expert, good-spirited troll in recent years and that was on full display recently. Star Wars 9 is currently filming in London, with J.J. Abrams back in the director's chair, after letting Rian Johnson take over for The Last Jedi. 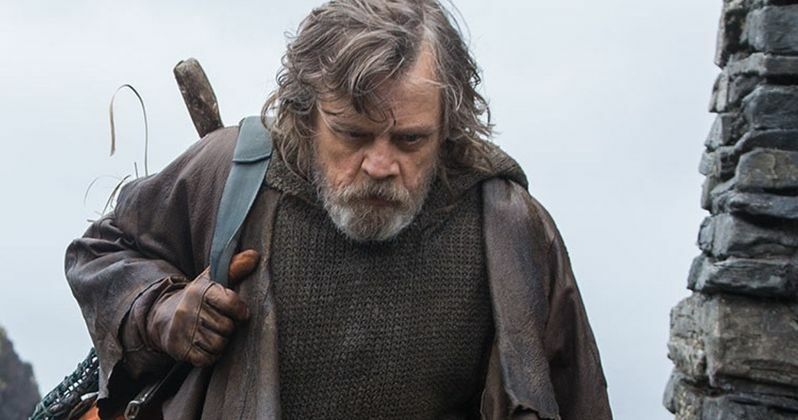 Mark Hamill is set to return once again as Luke Skywalker, though, given the events of the previous installment, in what capacity he will return is a bit up in the air. In any case, Hamill decided to tease fans who are dying for any info on what is being billed as the final chapter in the Skywalker saga. Here's what he had to say on Twitter. And just like that, many thought this was a tease of the official subtitle for Episode IX. Even if it wasn't, and it looks like it isn't, Mark Hamill knew that fans would jump on it like a grenade. The comment section was overflowing with hilarious positivity, as many were sure the actor was trolling, but nonetheless, they took the bait. Given how divided the fanbase has been recently, seeing such positivity is a nice change. The guessing game was short-lived though. In a follow-up tweet posted several hours later, Mark Hamill showed his hand a little bit and makes it pretty clear he has no intention of revealing the movie's title. At least not yet. His second tweet reads as follows. If one were to guess, this string of eventual tweets will result in a joke not at all related to a galaxy far, far away. Well played, sir. Mark Hamill had quite a bit of fun during the production of The Last Jedi. He at one point teased a "trailer reveal" that got fans all worked up, only to find out that the man was being quite literal, as he shared a shot of his actual trailer from the set. Some fans took the joke well, others were a bit upset. But that's just what Hamill does. What we know for sure is that this entry in the franchise will bring back Billy Dee Williams as Lando Calrissian for the first time since Return of the Jedi. Carrie Fisher will also return as Leia, with J.J. Abrams making use of footage from The Force Awakens and The Last Jedi that wound up on the cutting room floor. There are also several new cast members on board, including Keri Russell, Richard E. Grant, Matt Smith and Dominic Monaghan. Star Wars Episode IX is set to hit theaters on December 20, 2019. You can check out Mark Hamill's Twitter posts for yourself below, as well as some of the fan replies.